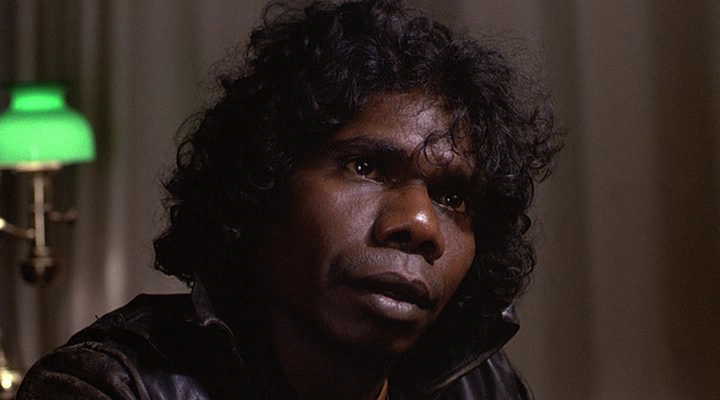 I’m not sure what to think about this film beyond the fact that David Gulpilil is always amazing. I liked it, or enjoyed it at least, though I am a sucker for this kind of X-Filesy mythology stuff. Still it never quite came together and I was troubled by some of the race stuff. It is clearly aware of the plight of the aboriginals, but is also ok making a movie that claims they are magical. Reading an interview with Weir more or less reflected this murky point of view I got from the film. Not that this makes it a bad film, if anything it is the nature of dealing with something that complicated in a serious manner. But this movie has stuck with me the past day and that is something.